Native Americans used the shredded outer bark and the soft wood to start fires. You may see cedar planks sold in stores for cooking. The wood gives a unique flavor to foods cooked on it. 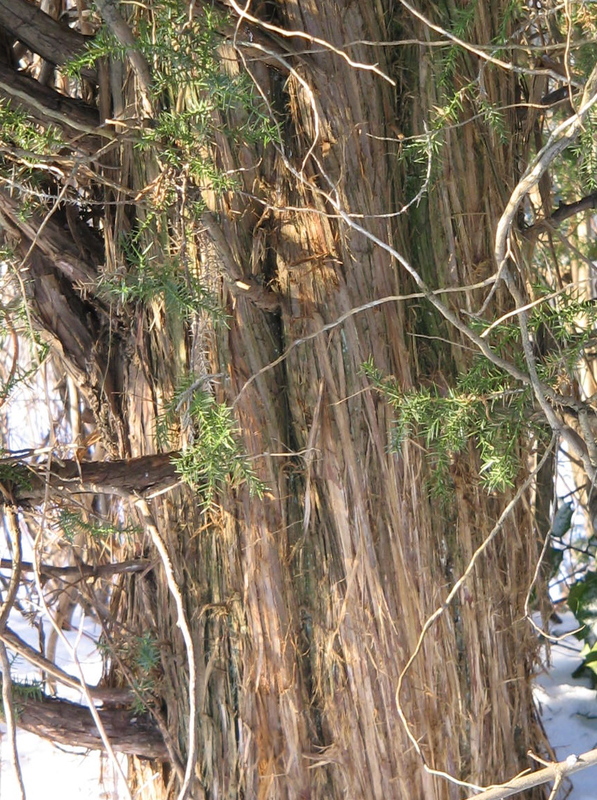 The fibers in the bark of the cedar were used to make cordage. IMPORTANT: All parts of this plant can be toxic. Cedar wood is also used to make non-rotting fence posts. A row of these beautiful trees makes a great windbreak on a property. Pencils were made from cedar for over 100 years until all the mature stands of the tree were gone. 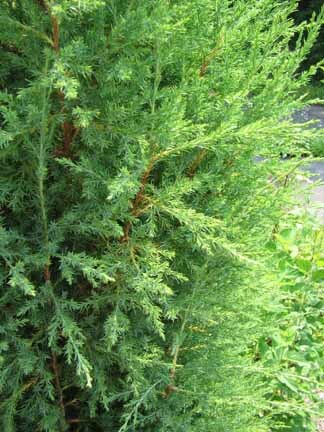 Although Redcedar has a soft look, it is actually prickly feeling when you run your hand over the foliage. In Pennsylvania, you may see the columnar cedars growing along highways and roads that run along farmers' fields. Rte 283 in Lancaster County has hundreds of cedars growing along it. In 1558, it was named arborvitae, Latin for "tree-of-life," after tea prepared from the foliage and bark (now known to be high in vitamin C saved the crew of Jacques Cartier from scurvy. The wood was preferred for canoe frames by Native Americans, who also used the shredded outer bark and the soft wood to start fires.